Young children learn to think in new ways when they imagine, guess, describe, and wonder. Try these books to engage your child’s curiosity and to inspire her to see different views of the world. 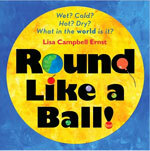 Round Like a Ball, by Lisa Campbell Ernst. 2008. The book begins with a familiar guessing game: "I’m thinking of something that’s round like a ball.” Each page offers a new clue. The paper cutout shape in each illustration is a visual hint to the answer. What’s round like a ball? It’s the Earth! Although this book introduces many facts about Planet Earth, you can also use it to spark a conversation about color, shape, and size. 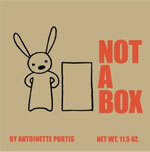 Not a Box (2006) and Not a Stick (2007), by Antoinette Portis. These books feature simple line drawings that will spark your child’s imagination. When asked, “Why are you sitting on that box?” a rabbit replies, “It’s not a box,” then demonstrates that it’s a racecar, a mountain, and a robot. In Not a Stick, a pig imagines his stick becoming a sword, a horse, and more. These books will inspire your child to consider many different ways to imagine and pretend. Available in English and Spanish. Can be purchased as a hardcover, paperback, and board book. Just How Long Can a Long String Be?! by Keith Baker. 2009. In this story, a bird and an ant discuss all the uses for a piece of simple white string. The examples are imaginative and each contains a sense of purpose or fun, such as “[hanging] a picture on a wall” and “[helping] the sweet pea vines grow tall.” As the string winds its way from page to page, the book imparts a feeling of connectedness among all things in the world, and will encourage your child to think about the many uses of simple things. Duck! Rabbit! by Amy Krouse Rosenthal and Tom Lichtenheld. 2009. 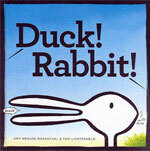 In this funny book, two unseen characters disagree on what kind of animal stands before them. Is the creature a duck with a bill? A rabbit with tall ears? The answer is that it all depends on how you look at things. This clever book reveals that sometimes there really is more than one right answer. Play the game, “I’m Thinking of Something.” Use words that describe shape, color, and size to give clues about a familiar household object (“I’m thinking of something brown. It has four legs. It’s made of wood.”) You and your child can take turns leading the game. You can also ask your younger child to think of the different uses of household objects. We use spoons, for example, to stir, eat, give medicine, and—in a child’s world—dig! Break out the boxes. Collect cardboard boxes of all sizes and watch how your child plays with them. He may imagine the box is many things other than just a box—a car, a cave, or even a bed! Talk about it. Discuss how sometimes there is more than one way to see the world. The unseen characters in Duck! Rabbit! are each certain that their interpretation is the right one, but both are right. There is more than one way to read the illustration. It’s an optical illusion. 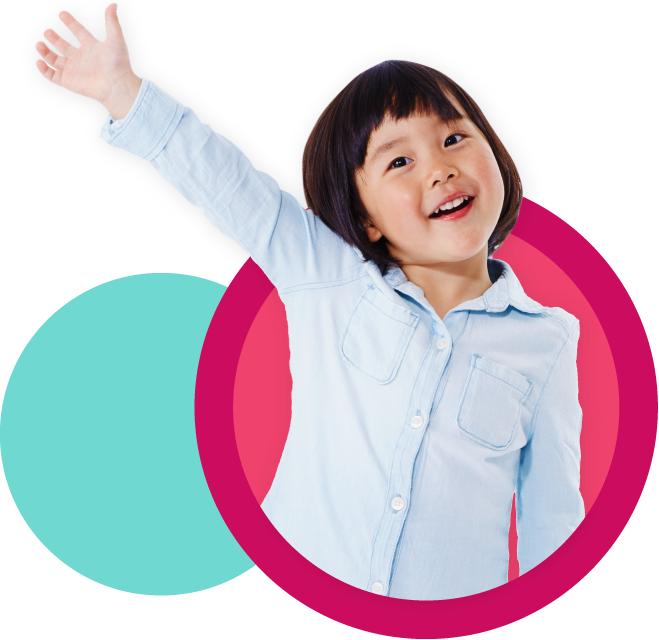 Helping your child see this is a great transition into a conversation about what happens when two people see something differently and how there’s not always just one right answer. Source: Adapted from S. Friedman, 2010, "Stretch Children's Thinking," Now Read This!, Teaching Young Children 3 (4): 3.